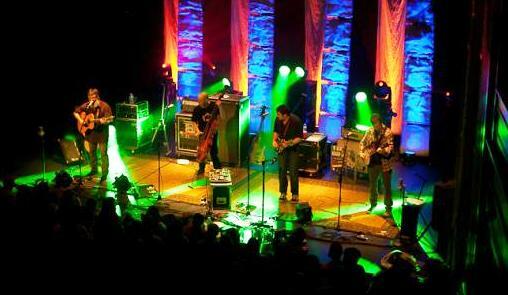 I’ve mentioned a number of times how musically-diverse I find Charlottesville, Virginia to be.. On any given nite, one may find a large variety of live music available..This past Sunday, I stopped into The Jefferson Theater and enjoyed a great show by bluegrass wunderkinds The Yonder Mountain String Band. One member was absent from the lineup on this night, Adam Aijala. Local favorite, Larry Keel stood in for the missing guitarist.. This was already a sold out show, and once Keel’s temporary addition to the lineup was announced, amateur fans/budding scalpers showed up just outside the venue offering tickets for $100 each. 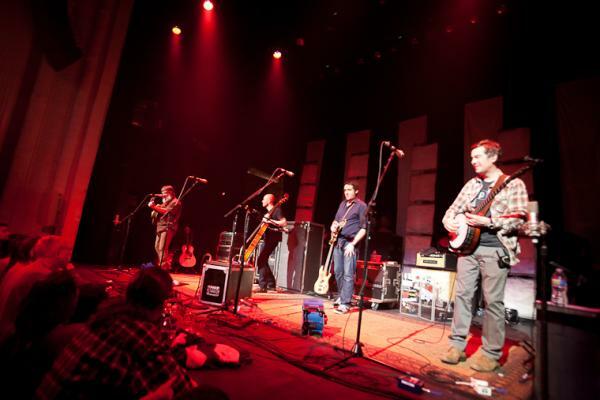 I never noticed if anyone took them up on their ‘deal.’ Inside, rumors were rampant that members of The Infamous Stringdusters were there, and planning to join the band onstage.. That was quickly dispelled, once it became obvious that The Stringdusters were in Atlanta.. Most fans I spoke with, felt that Keel’s presence would steer the band into significant traditional bluegrass territory. But I came to disagree. Keel did cover some of his own work, of course.. But for the most part, he did what any stand-in musician would do — properly cover the sound that the missing musician would have added…I love watching Larry Keel play.. Combining him with the speed and ferocity of Jeff Austin’s mandolin work proved to be a joyfully-sweaty and near-aerobic event for both sides of the stage. I surely missed Adam’s presence from the usual band lineup.. But on this night, the slightly different Yonder experience brought about by Larry’s presence on stage, made for a great way to end the weekend. Check out more photos from the show.